If you like to watch the ground get torn to shreds as if it were a stick of soft butter, then the video below is perfect for you! The Bracke T26.a is a beast when it comes to digging trenches. It tears up a wooded and rocky area that is littered with trees, boulders and roots — in no time at all. Watch as this Scarifier rips apart the ground with its enormous arms. The Bracke T26.a Scarifier Disc Trencher is an awesome machine that makes digging trenches easy and worry-free, even in the toughest terrain. 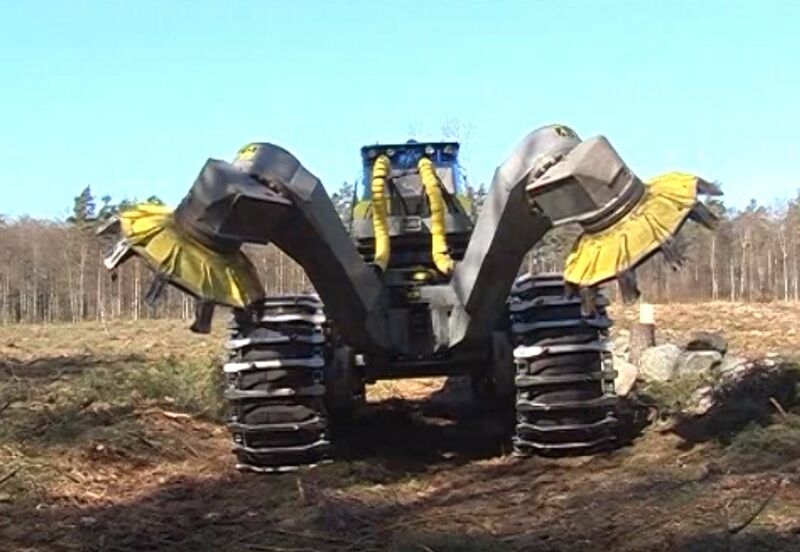 It is the most powerful disc trencher that the company has to offer, and it has definitely earned the right to be given such a scary name. Planting has never been easier. With features like variable arm settings and lifting pressure, the T26.a is not just efficient but state of the art. According to Bracke (which now lists this as the T26.b), this versatile attachment can be fitted to any forwarder or skidder and weighs in at 3,450 kilograms (7,606 pounds). The discs have teeth that are replaceable, and there are even additional options like a seeder and a printer for site data. Check it ripping apart the ground with its huge claws in the video below, and SHARE if you’re a fan!